Dr. Meena Dawar is a Medical Health Officer with Vancouver Coastal Health Authority. She is the MHO for Richmond and supports the regional immunization, tobacco control and healthy schools programs. She is also a Clinical Associate Professor with the School of Population and Public Health at UBC. Meena received her MD from Dalhousie University; completed her Family Medicine training at Queen’s University and her Master’s in Health Sciences and Public Health Residency Training at UBC. 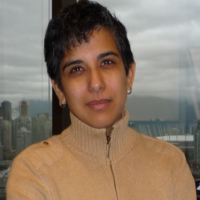 Meena has worked in rural and urban areas in Ontario and British Columbia.